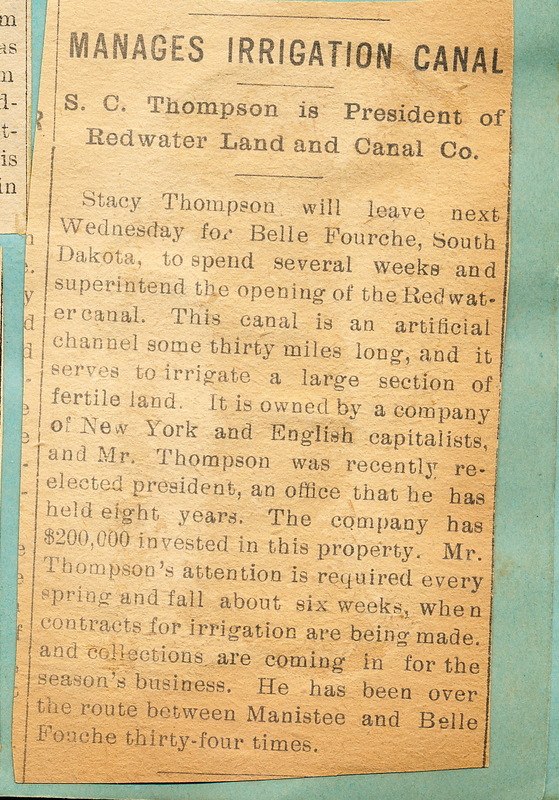 Stacy travelled to Belle Fourche (pronounced Belle Fooch) 34 times between 1879 and 1909, when he sold the Company he managed and owned. 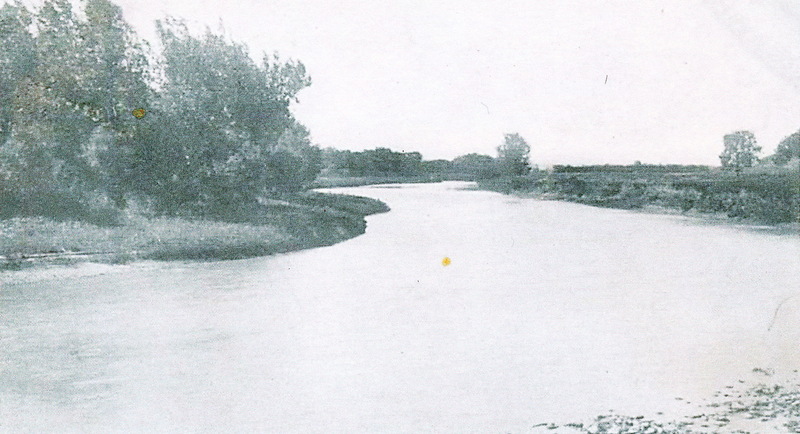 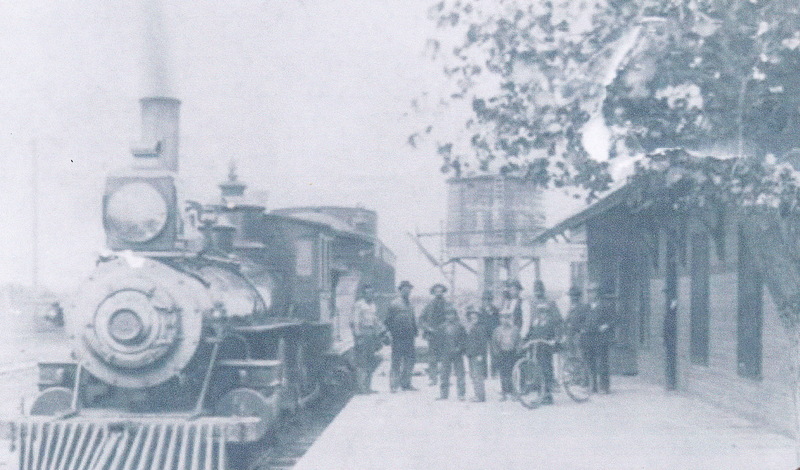 When the company was founded in 1879, it was called the Red Water and Belle Fourche Milling and Irrigating Company. 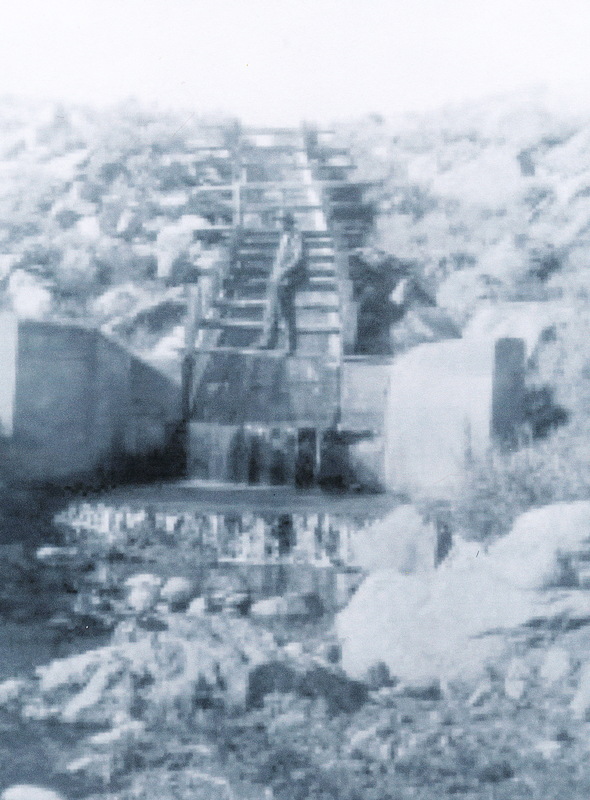 Its purpose was controlling the Red Water Ditch for irrigation. 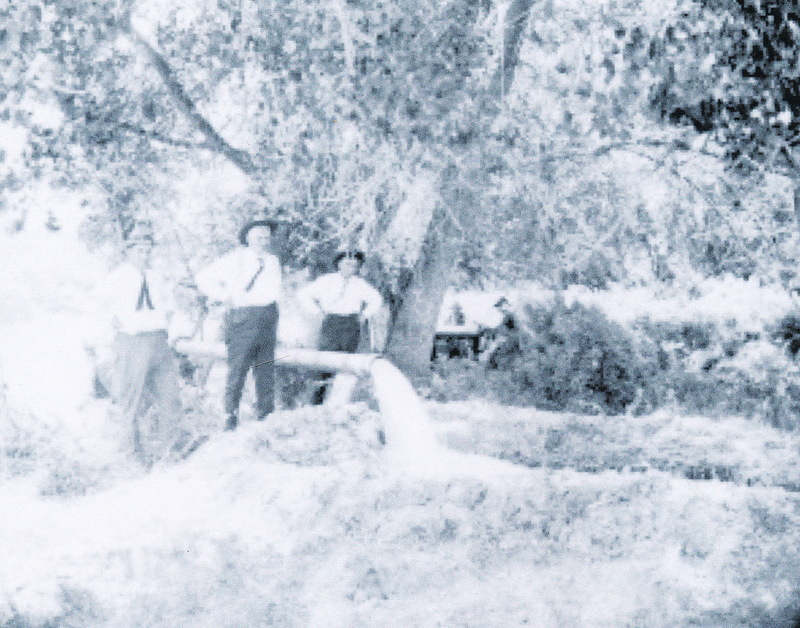 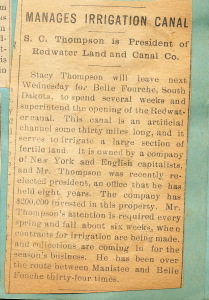 In 1903 the company changed names to become the Redwater Land and Canal Company and in 1909 the company made a final change to the Redwater Irrigating Association. Belle Fourche, South Dakota lies on the very western edge of South Dakota, in the Black Hills. 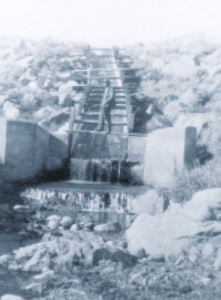 It is a very beautiful area of the state where water from the hills was collected and sent via canals to the land surrounding the town. 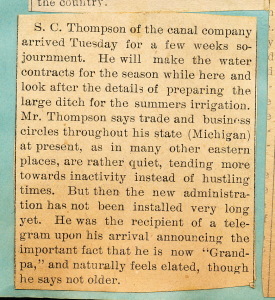 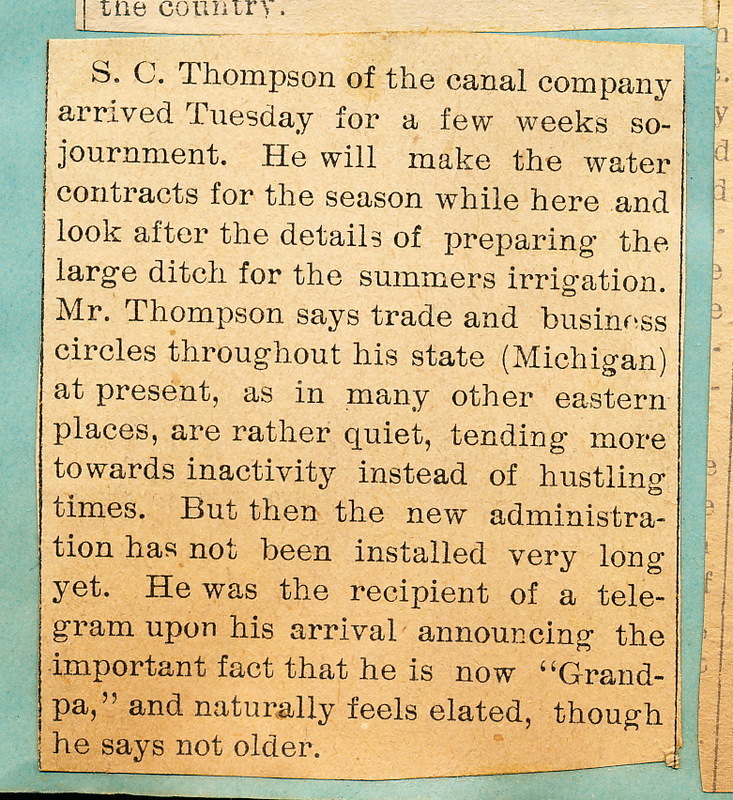 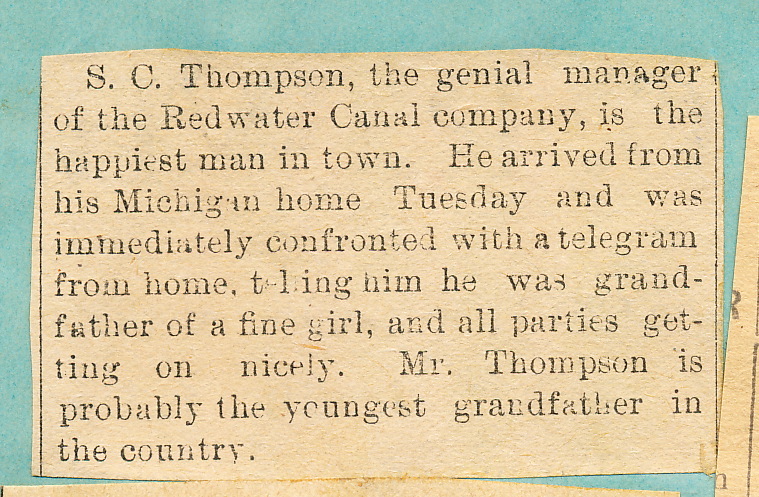 In Stacy’s Scrapbook, I found three newspaper articles pertaining to his time in Belle Fourche: two of the articles published in Belle Fourche and one published in Manistee, Michigan. 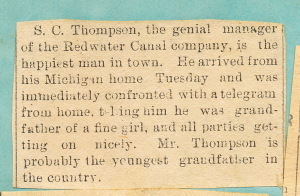 In both articles published in Belle Fourche, he is referred to as a new “Grandpa” which dates the article as having been written in 1897, when his first Grand daughter, Ruth Porter, was born. 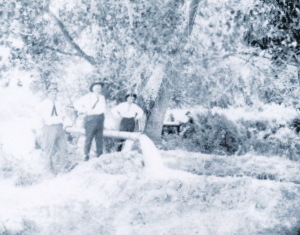 The following are some photos which depict the place and nature of the work which Stacy was involved in during the years between 1897 and 1909.